380 Marlborough is located on the south side of Marlborough, between Hereford and Massachusetts Avenue, with 378 Marlborough to the east and 382 Marlborough to the west. 380 Marlborough was designed by Cummings and Sears, architects, and built in 1881 by James Smith, mason, and J. McNutt, carpenter, as the home of Charles James Sprague, a widower, and his son-in-law and daughter, Lauriston Livingston Scaife and Helen Amelia (Sprague) Scaife. Charles Sprague is shown as the owner of 380 Marlborough on the original building permit application, dated March 9, 1881. Helen Scaife purchased the land for 380 Marlborough on February 19, 1881, from Benjamin Williams Crowninshield and Walter Channing Cabot. 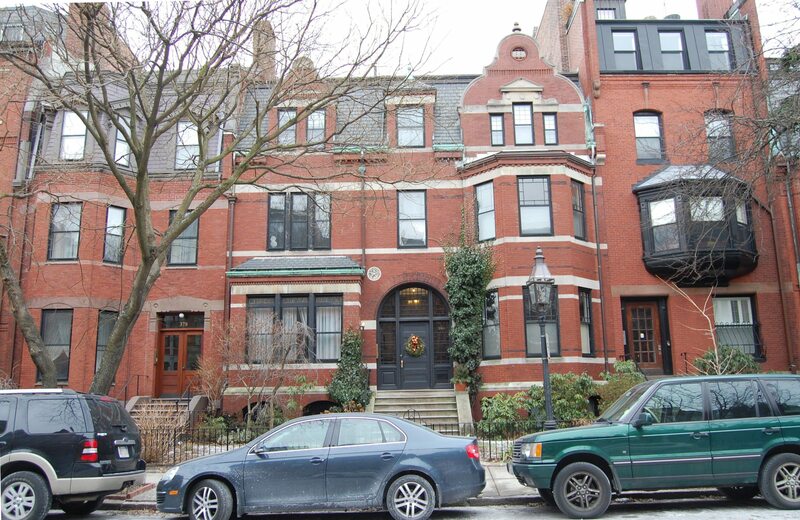 It was part of a parcel with a 498 foot frontage on Marlborough, extending west to Massachusetts Avenue, that they had acquired on January 20, 1880, from John Brooks Fenno and William Storer Eaton. J. Brooks Fenno and William Eaton had purchased the land that same day from Grenville T. W. Braman, Henry D. Hyde, and Henry M. Whitney, trustees of a real estate investment trust that had purchased several parcels of land on March 1, 1872, from the Boston Water Power Company. 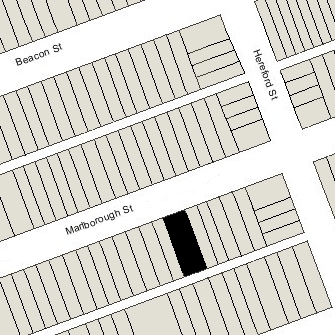 Click here for an index to the deeds for 380 Marlborough, and click here for further information on the land on the south side of Marlborough between Hereford and Massachusetts Avenue. By the 1881-1882 winter season, Charles Sprague and the Scaifes had made 380 Marlborough their home. They previously had lived at 598 Tremont, where Charles Sprague’s wife, Amelia M. (Stodder) Sprague, had died in March of 1880. Charles J. Sprague was cashier of the Globe National Bank. Lauriston Scaife was an attorney. Charles J. Sprague died in August of 1903. Lauriston and Helen Scaife continued to live at 380 Marlborough during the 1903-1904 winter season, but moved thereafter to North Cohasset. On April 22, 1904, 380 Marlborough was purchased from Helen Scaife by Lucy (Rice) Jackson, the wife of Dr. Henry Jackson, a physician. They previously had lived at 309 Marlborough. During the 1920-1921 winter season, they were joined at 380 Marlborough by their son-in-law and daughter, Kennard Winsor and Adelaide (Jackson) Winsor. He was a stockbroker. They previously had lived at The Torrington at 384 Commonwealth. By the next season, they had moved to Chestnut Hill. 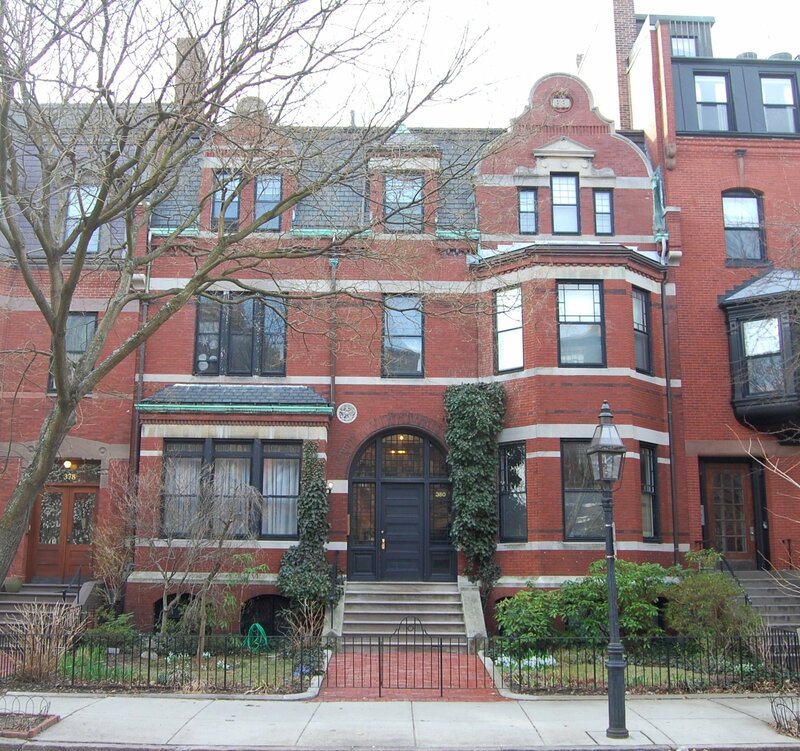 Henry and Lucy Jackson continued to live at 380 Marlborough during the 1923-1924 winter season. Lucy Jackson died in 1924, after they returned in mid-September from a trip to Europe. By the 1925-1926 winter season, Henry Jackson had moved to 51 Hereford. On July 29, 1925, 380 Marlborough was purchased from Lucy Jackson’s estate by cotton manufacturer Hamilton DeForest Lockwood, and his wife, Maria Bond (Wheelwright) Lockwood. They previously had lived at 177 Marlborough. They also maintained a home in North Haven, Maine. William DeForest Lockwood died in January of 1943. Maria Lockwood and their son, Hamilton Lockwood, Jr., continued to live at 380 Marlborough. Hamilton DeForest Lockwood, Jr., was an investment counselor. 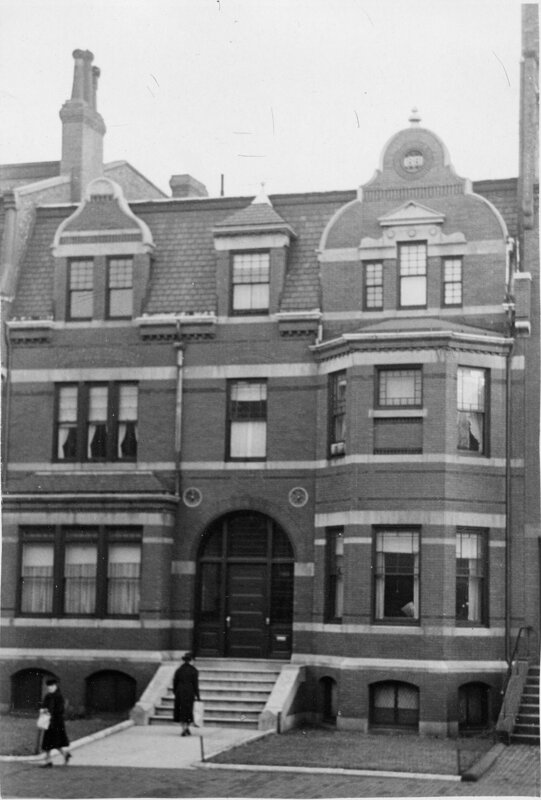 Maria Lockwood continued to live at 380 Marlborough until her death in March of 1969. 380 Marlborough was inherited by her three children: Hamilton deForest Lockwood, Jr.; Elizabeth (Lockwood) Thurber, the wife of W. Schuyler Thurber; and Rosamond (Lockwood) Vaughan, the former wife of Norman Dane Vaughan. On July 29, 1969, 380 Marlborough was purchased from Maria Lockwood’s estate and heirs by Joseph L. Eldredge and his wife, Joan W. Eldredge. In June of 1976, they filed for (and subsequently received) permission to convert the property from a single-family dwelling into four apartments. On August 2, 1976, the Eldredges converted the property into three condominium units, the 380 Marlborough Condominium. On May 30, 1978, the condominium owners agreed to increase the number of units from three to four.